Occasionally, they come out with a firmware upgrade. Usually, there’s no problem with the upgrade; however, yesterday post-upgrade, launching the netflix app would cause the box to reboot. ARG. We don’t watch that much TV; however, I don’t like it when things break. At first, I rolled back the firmware. Kudos to Western Digital for making it so easy. Many things don’t allow that to be done so easily….there’s no reason NOT to allow it. Anyway, after the rollback it still didn’t work. Now, I was really getting worried. To fix it, I went in to the settings on the device and had it forget our login information. I then went into Netflix and had it deauthorize devices. I then redid the firmware update. Everything worked fine. I think the login information got corrupted somehow. 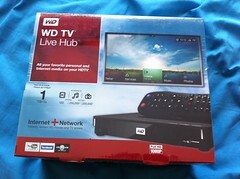 [Update 2013-03-23 08:39:25] The hard drive in our WDTVLiveHub failed. I’m not sure what happened, but I can’t see it. It will still play online content…it just doesn’t see the hard drive. Paul Ryan has just released the GOP proposal for FY2014 budget. 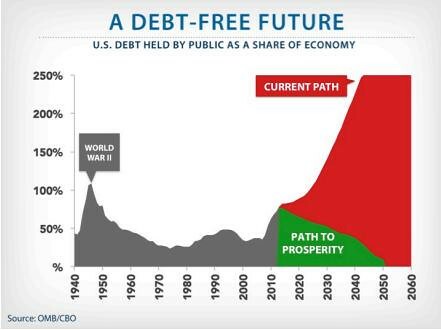 Debt free by 2050….yes please!